Today I'll be trying and testing a DIY which has taken the internet by storm. 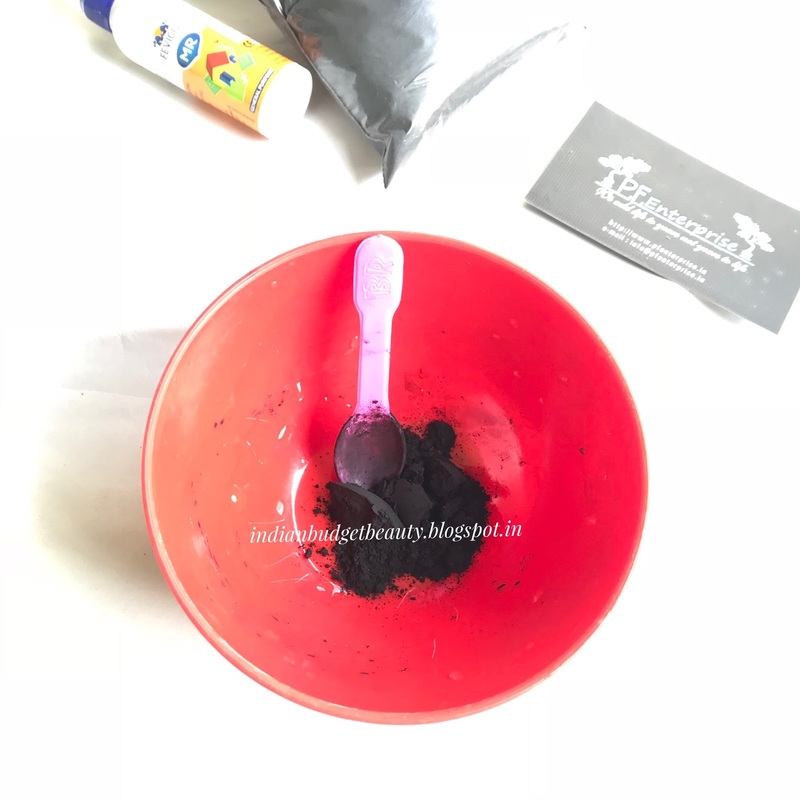 You might have known or heard about the 'Activated charcoal' which is a widely popular ingredient in many skincare products. So, lets just begin with the DIY. 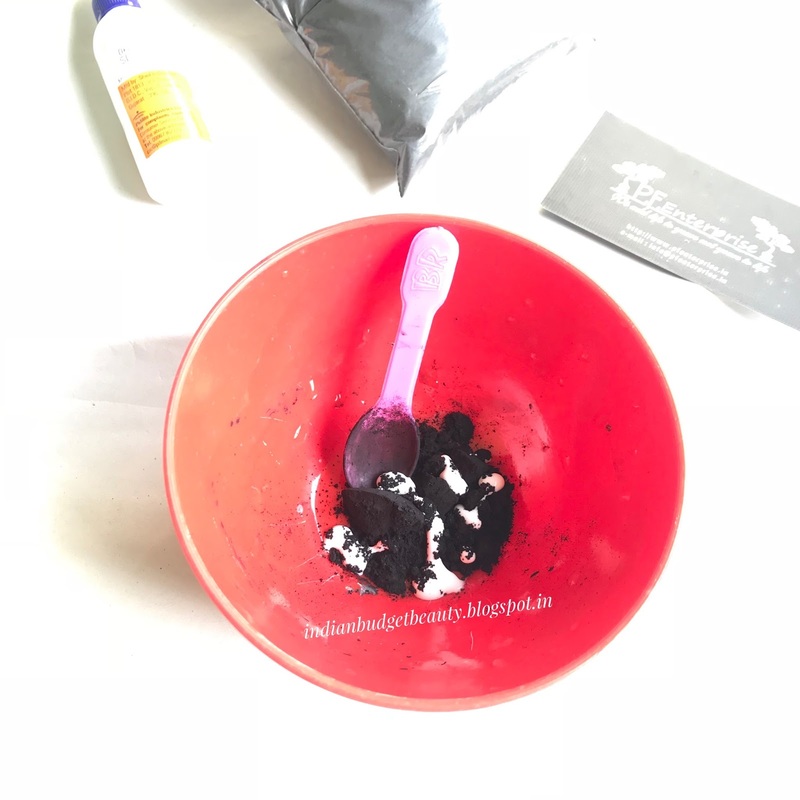 WHAT IS AN ACTIVATED CHARCOAL? 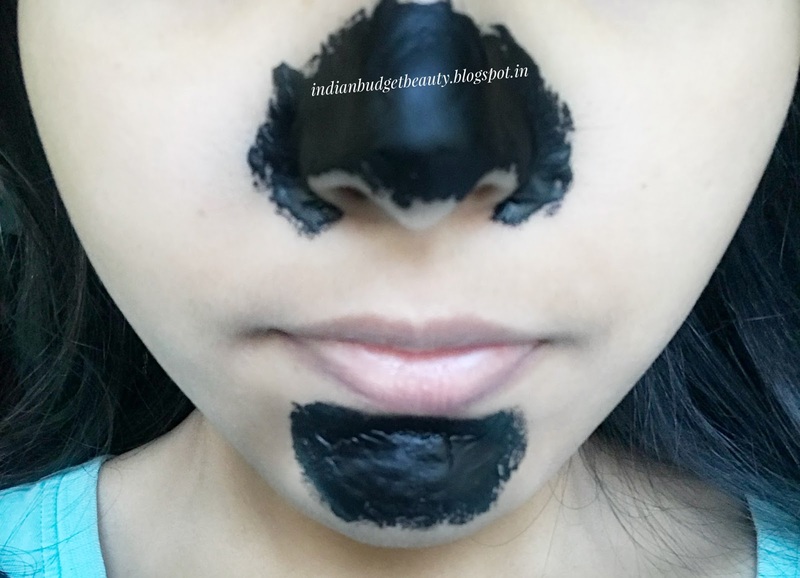 Activated Charcoal pulls off dirt, sebum, whiteheads, blackheads from surface of the skin and makes it cleaner. 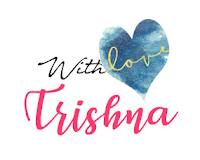 It is a boon for people with oily skin. 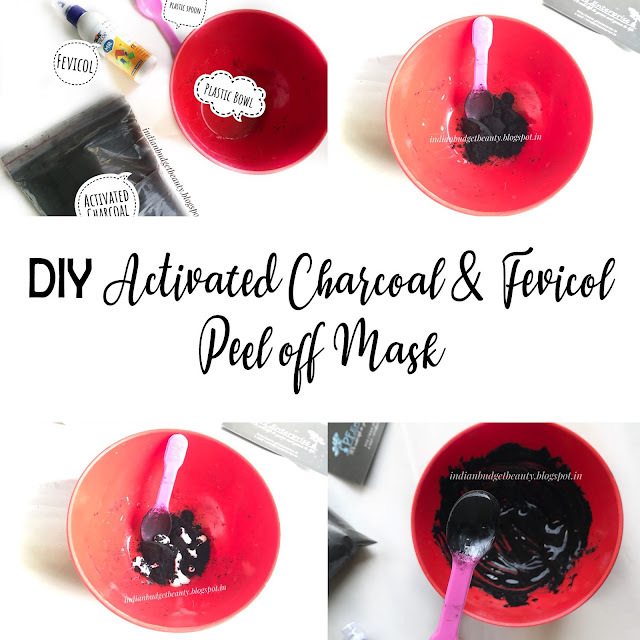 Squeeze out a good amount of fevicol into the bowl. 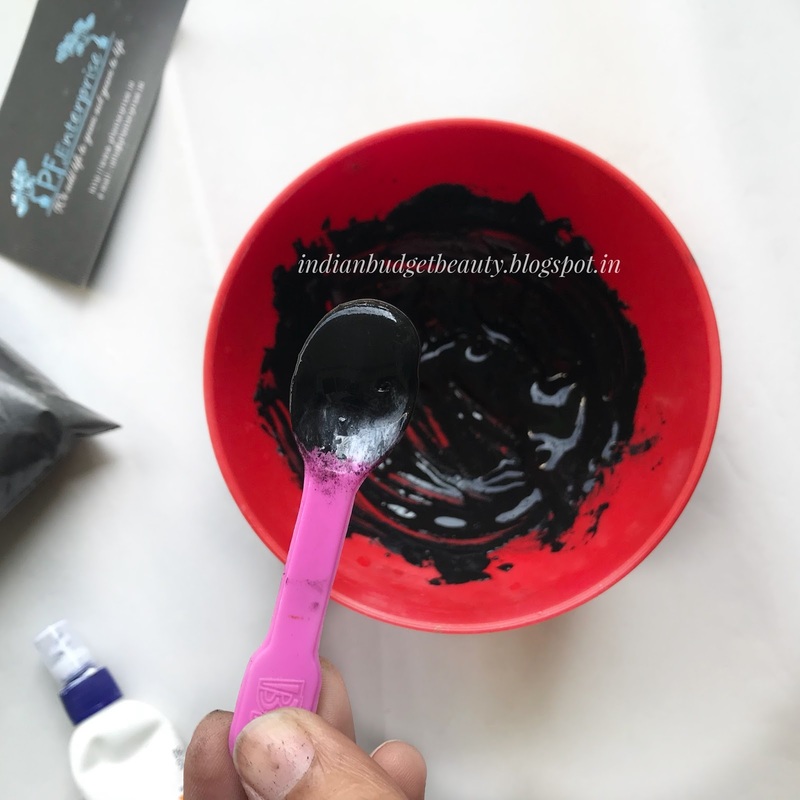 Mix both of the ingredients well until you get a fine paste. You can definetly see the black and white heads along with some facial hair. Usually I don't have a lot of black heads but I do have a little bit of white heads. This mask pulled off everything and made my nose and chin dirt free.